National Football League (NFL) owners voted almost unanimously yesterday to approve plans for the Oakland Raiders to relocate to Las Vegas, heralding what could be the final play in the nearly two-year-long drama that has unfolded as several West Coast-based teams reshuffle hometowns. 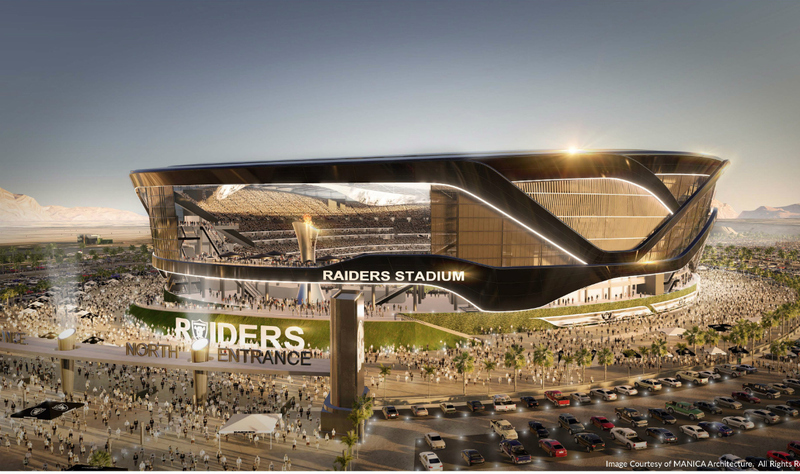 Las Vegas city officials have been courting the Oakland Raiders for months, offering $750 million in public financing for the team’s Manica Architecture–designed $1.15 billion stadium proposal. The 65,000 seat stadium—a recycled scheme left over from the team’s attempt to move to Carson, California last year—features a large-scale, retractable side wall that would allow the stadium to become partially open-air. The domed structure will potentially be located on either a site nearby the Mandalay Bay casino complex on the Las Vegas Strip, or atop a current portion of golf course belonging to the Bali Hai Golf Club. The stadium is being designed as a shared facility and will also host games for the University of Nevada football team. The relocation deal throws into question a plan released late last year from Oakland and Alameda County officials aimed at keeping the team in town. In their efforts, officials advertised a purpose-built $1.15 billion, 55,000-seat stadium for the team. The Raiders currently share Oakland-Alameda Stadium with the Oakland Athletics professional baseball team. The dual-use stadium undergoes a grueling 20-hour long conversion in order to switch between uses. The design is difficult and costly, to say the least. The plan was offered as a carrot to both teams—the Athletics will have the option to develop their own stadium in the scheme—and also came with potential plans or remaking the district around the stadium with improvements to rapid transit connections. Officials in Oakland have not announced what will come of the plan given the finalized move. 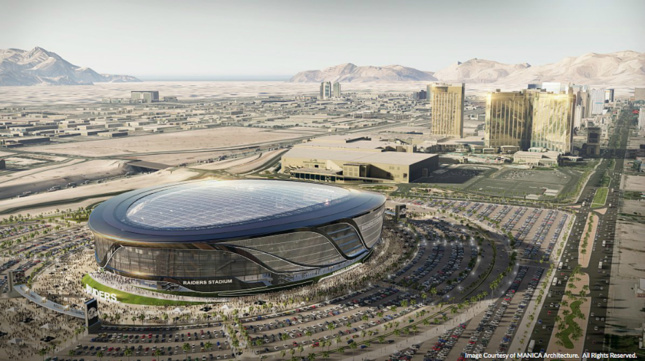 For the Las Vegas stadium, the assumption is that the design and permitting process will continue to move forward and that—perhaps quickly—a site might be chosen so construction can commence. 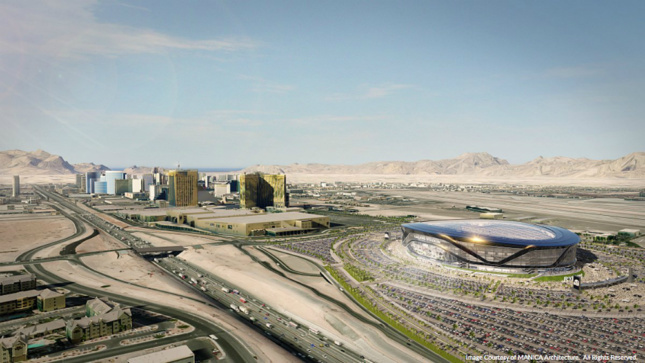 For the Raiders the arrangement is particularly awkward, as the team will not be able to physically relocate to Las Vegas until the 2020 season at the earliest.